Riyadh – Mubasher: Saudi Arabia's suspension of all crude exports through the Bab Al Mandab Strait is expected to have a minimal effect on Egypt's Suez Canal in the coming period, analysts told Mubasher. On Thursday, Saudi Arabia halted all oil export shipments passing through the Bab Al Mandab Strait until the area was secured. The decision came after Houthis attacked two Saudi tankers passing through the strait. Kuwait also said it was considering halting the transport of its oil cargoes through the strait. Saudi's suspension of crude via the strait will have a limited effect on Egypt's Suez Canal in the current period, marine specialist and former Suez Canal consultant Ali Bassiouni. He added that Saudi Arabia's move was meant to pressure other countries into acting fast, particularly the US and Europe. More important decisions will be taken against Iran in the coming period following the Houthi militias' attacks on the Saudi oil tankers, Bassiouni noted. 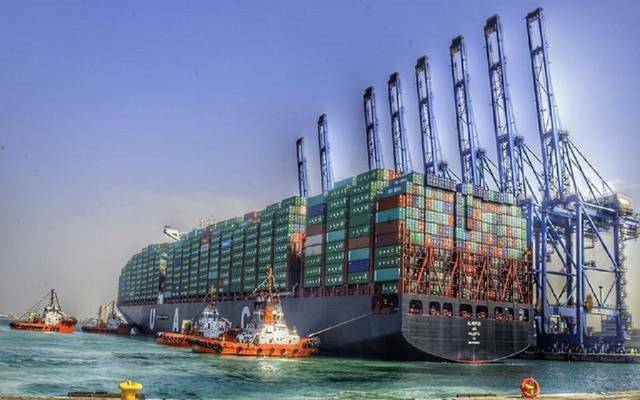 Meanwhile, logistics expert Ahmed El Shami forecast that the suspension would have a minimal impact as the tankers are passing to eastern and southern Asia and will therefore have no need to cross through the Suez Canal. He further forecast that the crude export suspension would end in early August after the region was secured, adding that if any other country suspends its oil exports, the effect will also be limited but will give the world the impression that there is a problem in this region. “All oil shipments passing through Bab Al-Mandab Strait have been suspended temporarily until navigation through the area is secure,” Saudi energy minister Khalid Al-Falih told the Saudi Press Agency (SPA) late Wednesday after the tankers were attacked.